Gotham finally revealed Cameron Monaghan as Joker. FOX’s police procedural series, Gotham is in its fifth and final season and with just two episodes left the show is bringing out their biggest attraction. 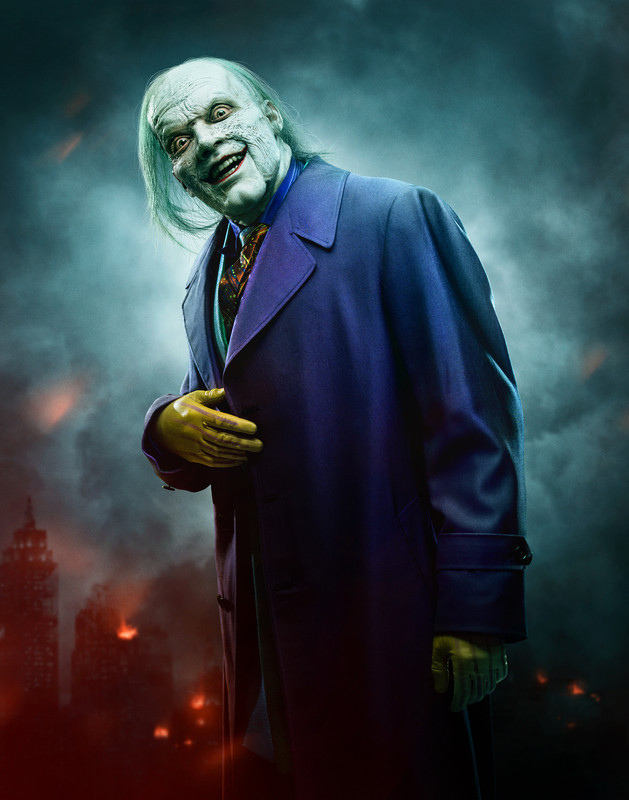 With a first-look image and teaser promo for the two-part series finale, Gotham has introduced a seriously creepy new personification of the most iconic super-villain that has ever lived in the comics. The show’s revelation of chalk-faced arch nemesis of Batman isn’t long after the last week’s showing of DC’s masked-baddie, Bane. And this iteration of Arkham’s mad dog by Gotham is the first one in the television after a 51-year of absence. Gotham returns to have its farewell on April 18 and April 25. Shows like Gotham are always bound to have its end rather quickly so as to mark the beginning of a principal character as in this case, the Batman. Nonetheless, the series is well on its way to meet the 100th episode threshold by its finale, which in itself is quite a breakthrough for a TV project. 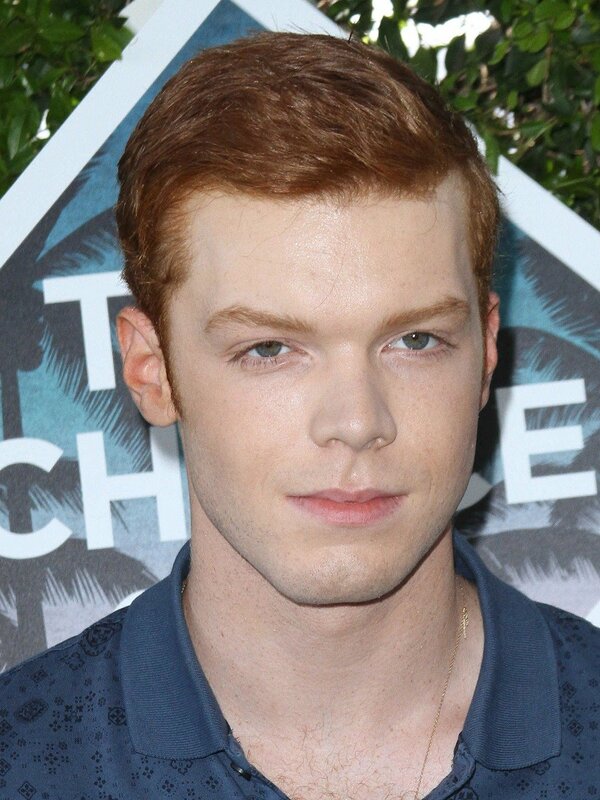 The show’s writing team was initially reluctant to include the Joker in their prequel project but that was until after the end of the first season when they brought in a new character, Jeremiah Valeska (played by guest star Cameron Monaghan), the lunatic son of circus performers whose background and persona often swings away from the familiar Joker mythology. 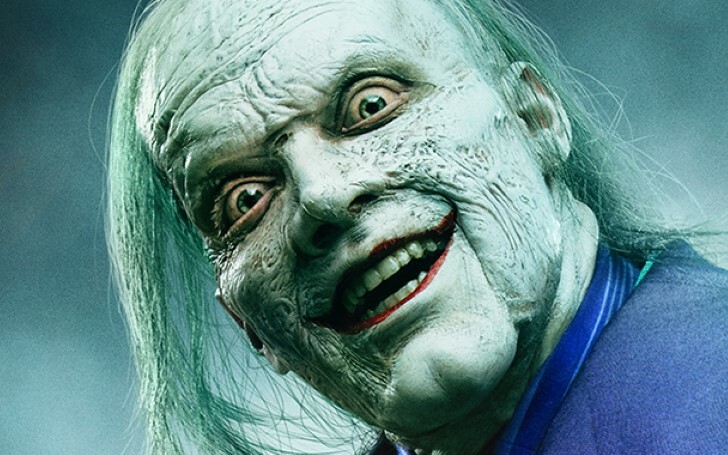 Producers described Jeremiah as somewhat of a next-gen Joker who despite the alteration still has the haunted past of original Jack Napier’s. In the beginning, when fans were just starting to understand Jeremiah, some reasonable doubts were raised about whether the character was going to evolve into Joker at all. Was Jeremiah truly a separate individual or was it just a tangential quintessence? But now, the answer is speaking out itself on the image below as Monaghan goes “full clown” for the finale episodes. It’s a fresh, potent take on the physiognomy of the Joker, who looks more paranormal than usual. It also shows a strong addition to the character’s makeover. In live-action films, the Ace of Knaves has been portrayed by a handful number of big names such as Cesar Romero, Jack Nicholson, Heath Ledger, and Jared Leto. But the utmost portrayal dates back to as early as the 1960s with the late actor, Cesar Julio Romero Jr first rendering giggling villain in the live-action television series (1966-68) as well as in its tie-film (1966). Two well-known names have also given voice to the Puddin. Once by Star Wars’ Mark Hamill in Batman: Mask of the Phantasm (1993) and Zach Galifianakis of the Hangover franchise stepping in for The LEGO Batman Movie (2017). This year records Batman’s 80th anniversary but for the time being, it's his arch-rival who is getting a bigger spotlight as the calendar is also set to mark the release of Joker’s first stand-alone feature film which will hit the theaters on the 4th of October. This directorial from the writer-director Todd Phillips is reported to follow the origin story of The King of Comedy and explore more about the backstory of enigmatic killer clown brought to the screen by three-time Oscar nominee Joaquin Phoenix.